We've always loved the armadillo! 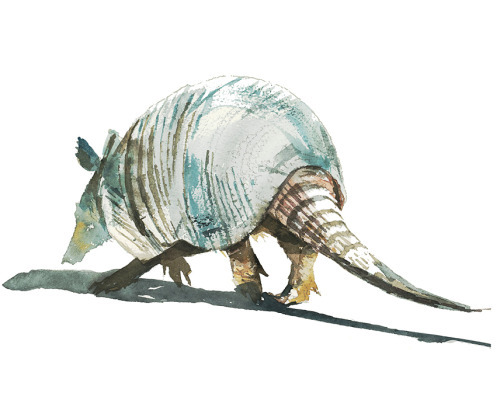 We are excited to offer this original watercolor print that truly highlights the elegance and beauty of the often overlooked armadillo! This illustration, along with all of our illustrations are printed on Hahnemuhle William Turner 190 gsm, 100% cotton paper, guaranteed to meet all archival standards. The mould-made fine digital art paper features a distinct textured surface, reminiscent of a sanded pastel paper.